Zooey Deschanel and M. Ward's fifth album as She & Him, comprised of smooth and languid covers, is decidedly relaxed despite a move to a major label. Give the same record to 13 PopMatters writers, and each will come up with a completely different type of review. This is not just down to personal opinion and taste, but stylistic approach, as well as all of us having diverse ideas about music and culture and how we best get those ideas across to the reader. Similarly, give 13 songs to different musicians and, more often that not, they will all come up with varying interpretations. This is probably the very point of the modern covers album. Looking back 40 years ago, most pop music was “covered” because artists did not usually write their own material -- e.g. Frank Sinatra and Shirley Bassey -- because they concentrated on what they were good at, namely performing. Things have come a long way because despite the ongoing erosion of artists rights online, many artists now try to write their own songs to ensure they maximize their revenue. 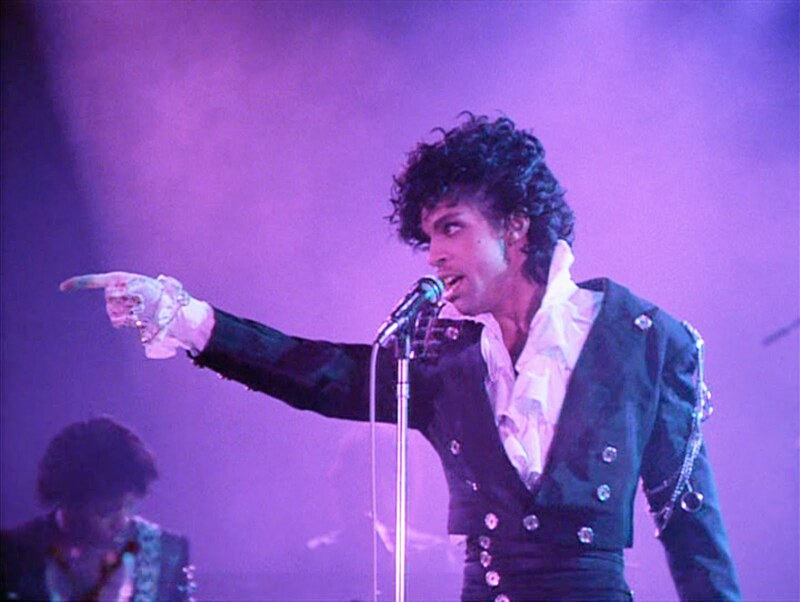 When bands break up, it is frequently because of royalty disputes among the band members, with much ensuing shaking of fists and snarling of lawyers. In this context, the concept of a covers album suddenly seems very appealing. However, a covers project can undoubtedly be a regressive step for a band used to working on and performing their own material, and there have been quite a few covers album disasters -- it would probably be unfair to pick any one out in particular. The proper motivation for covering another artist’s work should hopefully not be writer’s block or not having anything else better to do, but because the musician is inspired by the other’s music. There are good examples of this, such as Bryan Ferry’s Dylanesque or Elliott Murphy’s Murphy Gets Muddy. Furthermore, it’s probably not a good indication when the covering performer simply replicates the original, without taking any artistic risks. She & Him are a relatively unusual band to begin with. The duo is an American supergroup made up of Zooey Deschanel and M. Ward, both of whom have many other things going on in their professional lives. Deschanel is a successful actress and Ward has a solo music career, in addition to being a part of Tired Pony and Monsters of Folk. He also produces for other artists. To date, She & Him have put out three previous albums, each made up of a mix of their own material and covers, as well as a Christmas album. Their music so far has mostly been of the light and fluffy variety, enjoyable but not ground-breaking, earth-shattering, or tremor-causing. At the risk of upsetting She & Him fans, their albums drift towards light pastiche. But, of course, not everyone has to push boundaries or set new levels of goofy experimentation. Goofy can be overrated; instead She & Him contributed to the 2011 soundtrack of Winnie the Pooh. In spite or because of this lightness of touch, She & Him have done well commercially. As of June this year, when She & Him switched from an indie label to a major player, Columbia, Billboard put their record sales at just over a million, which is pretty impressive these days. (It’s probably no surprise their best seller so far is A Very She & Him Christmas). You do have to wonder, though, whether this quantity of records would have been shifted if Deschanel was not so well know for other things, like films and sitcoms. Regardless of this, she has a strong voice and can play a number of different instruments. Most recently, Deschanel has been hanging around with the Purple One. “FALLINLOVE2NITE”, a Prince-Deschanel collaboration however remains officially unreleased, probably locked up in a vault somewhere in Minneapolis. It’s also been reported that She & Him have been working with Brian Wilson on his forthcoming album. 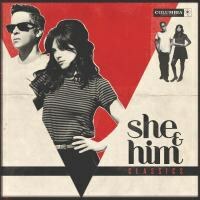 Classics is She & Him’s major label debut, and although there are no signs of ramping things up in a rock star way, the budget has stretched to a 20 piece orchestra. The choice of songs is interesting for at least two reasons: (1) While the selections may have been performed by “classic” artists in the past, the songs are not necessarily those artists' best known songs, and (2) The material is not particularly surprising; there’s no songs by Def Leppard or Slayer. Instead it’s a return to the easy listening territory of Charles Aznavour and Johnny Mathis. This does not necessarily mean no risks have been taken. However, when overdone, easy listening can plunge deep into cloying schmaltz and over-sentimentality. The best moments on Classics tend to be where She & Him take advantage of having two very different voices. Although Deschanel should be, and clearly is, the lead vocalist, adding Ward's gruff voice to some of the songs works wonders. Ward's rough interjection on “Stars Fell on Alabama” emphasizes the sweetness of Deschanel's singing. This is also the case for the flirty duets “Time After Time” (with a great trombone solo) and “Would You Like to Take a Walk” (starting with some great nonchalant whistling). Ward also pushes the boat out by taking lead vocal for the syrupy Aznavour/Costello ballad “She”, and he transforms what is typically an overblown vocal into a chilled-out, understated gem. In fact the general tone for the album is one of relaxed and breezy ‘70s samba, with a dab of jazz glamour. “Teach Me Tonight” and “It's Always You” are both arranged and performed with an easy, light touch. “This Girl's in Love With You” is warm and intimate, and Dusty Springfield's “Stay Awhile” is arranged as a twangy ‘60s girl-group number with some cute backing vocals. Whilst Deschanel must be sick to death of hearing that she’s “quirky” (to say nothing of the readers tired of the categorizationl), it does set her apart from other vocalists. “Oh No, Not My Baby” is sung in an endearing, idiosyncratic style. Elsewhere, the orchestration can provide a similar pull; “It's Not For Me to Say” is cleverly arranged, with delicate piano and artfully vocals by Deschanel, the latter with some beautiful vibrato. Generally, this is music more for lounging around languidly by a swimming pool rather than getting the heart pumping at the gym. The most ambitious song attempts are towards the end of the album; “Unchained Melody” is a big classic, and here it is slowed right down with some very simple backing, essentially a guitar and a choral vocal provided by the Chapin Sisters. It’s markedly different to the original, and almost treated as gospel. It succeeds in its own drama, whereas “I'll Never Be Free” is perhaps too casual. ”We'll Meet Again”, however, benefits from a relaxed approach, because we've all heard this song a zillion times. The muted trumpet break and the hesitant male singalong chorus are clever additions. All in all, Classics is charming enough to merit a release, and it would be unfair to claim that by putting out a covers album, She & Him are treading water. The album is classy and appealing, and although it’s not particularly challenging, it’s still a lot more than just background music. Most importantly, it sounds beautiful, just like the records that used to be made 40 years ago. In a world where we're constantly bombarded with dissonance and discord, Classics is a soothing remedy for agitated minds.